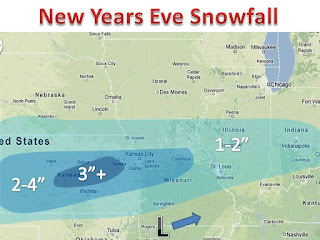 Another weak system will impact parts of the Midwest on New Years Eve. A trough of low pressure will emerge from the Rockies and begin to weaken almost simultaneously. However, there will be enough moisture to squeak out a plowable snowfall for some. 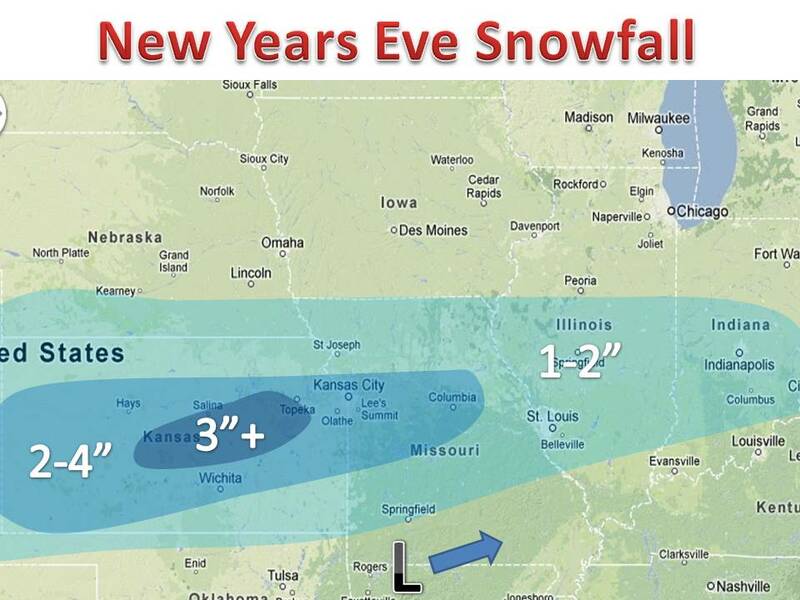 If banding sets up perfectly, the way it is shown in the models, the area of 3"+ may see up to 5" of the white stuff. There are winter weather advisories out for a wide area, given the timing and mass travel that will be occurring during the snow. Use caution and as always, give yourself some extra time when venturing out.